Neuschwanstein Castle is so often called “the castle of the fairy-tale king” and it’s no wonder as the castle looks like it’s been plucked from your favourite fairy tale. The castle name translates to New Swan Stone Castle and the decorations within the castle certainly reflect this. Since the death of Ludwig II the castle opened to the public and it’s now one of the most visited castles in the world. Neuschwanstein Castle receives about 1.5 million visitors a year, this can make seeing the castle a challenge, especially during peak season. 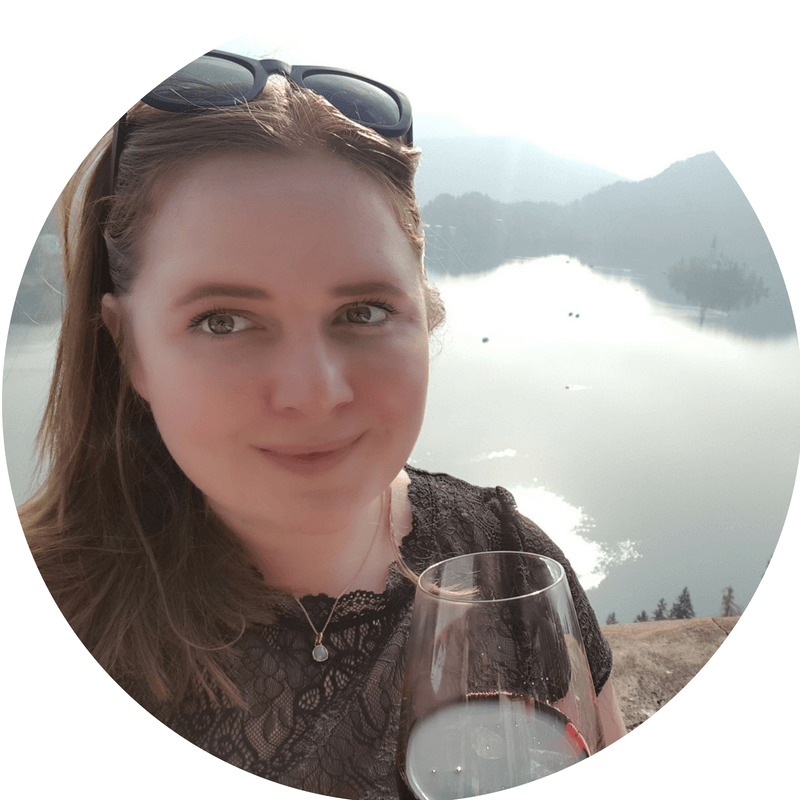 This article is a guide on how I recommend you visit the castle and the lessons I learnt during the process. Hohenschwangau Castle and Neuschwanstein Castle are both located in the quaint village of Hohenschwangau. 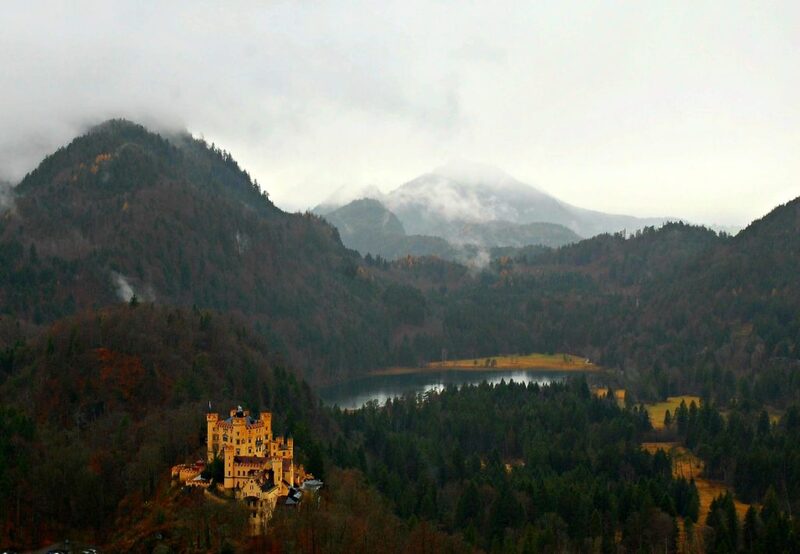 If you have time make sure you get a chance to visit both or at least catch a glimpse of Hohenschwangau Castle. Planning out your day to Neuschwanstein Castle will need a little bit of thought especially if you are heading in peak season! So let’s get started on how you should consider planning out your day and what you should know before visiting Neuschwanstein Castle without a tour. How Long Does it Take to Visit Neuschwanstein? Neuschwanstein Castle offers different tours during the day, audio guides and tour guides in English or German. Each tour last for 35 minutes and you are guided through the castle so there is no option to do this at your own pace. If you do have mobility issues then the steep hill might be a challenge but there are bus options to reach the castle. Unfortunately, the castle does not cater for wheelchair users and there are no alternative options. How Much Does it Cost to Visit Neuschwanstein Castle? Using this website (click here) reserve your tickets in advance. Tickets can be reserved up to two days and no later than 3:00 p.m German time before your trip to Neuschwanstein Castle. For groups of 2-5 people, always buy the group ticket, as it is around 25 euros. This saves a ton of money as a normal entry for an adult for the castle tour is 13 euros. Plus you skip the queue for people buying normal tickets! You can buy tickets on the day as we did. We were silly and didn’t book in time! Those general excuses of work and life getting in the way. Not only did we lose out on the savings but even during low season, it was extremely hard to get a slot. We were given a slot time of 15:35 which is the 3rd last opening. If you are doing this option make sure you rush to the ticket office to beat the queues. We had a quick break before heading to the ticket line which meant we were some of the last people to get tickets of the people who were on our train. Can I visit Neuschwanstein Castle Without Ticket? Not a museum person? You can still visit the outside of Neuschwanstein Castle without a ticket. You can walk or hike around the hillside and cross the Marienbruke easily. Plenty of opportunities to grab the perfect photo of the castle! There aren’t too many grounds around the castle since it is perched on top of a steep hill. How to get to Neuschwanstein Castle from Munich? To get to Neuschwanstein Castle from Munich it is a two-leg journey, the first leg is a train journey and the second leg is bus journey to the base of the castle. There are direct trains from Munich Central station to Fussen station and then it is a short bus ride from Fussen to Neuschwanstein. I suggest catching the 9.52 train (that leaves from platform 29) to fit all the activities in (see timetable below). Make sure that you get there at least 30 minutes earlier to leave time to buy your tickets. It’s easy to buy the tickets on the day at one of the ticket vending machines or a ticket office. During the peak season, the trains will be packed so the earlier you are on the platform the more likely you will get a seat. Top tip: If you are in a group of 2+ people make sure you are buying the group ticket to Füssen. It significantly reduces the cost. There will be buses waiting outside of the station when the train arrives. Take either the 73 or 78 bus to Hohenschwangau stop. There will be a sign on the bus indicating that it’s going via Neuschwanstein. There will be an extra cost on top of the train ticket and you can buy tickets on the bus with cash. The stop to get off is easy to recognise and it will also be the stop that you get back on the bus for the return leg. Neuschwanstein Castle and Hohenschwangau Castle are both located in the quaint village of Hohenschwangau. In the map below I have marked the train station Fussen, bus stop (drop off and pick up), restaurants and tour office. You can save the map offline which is super handy when trying to find your way around the town. I am assuming that you are planning to visit the castle without a tour and saving on the costs that tour companies make off us! It will be a full day of activities and on average it will 8-10 hour day trip so be prepared with your walking shoes and some snacks. Train leaves at 9:52 from Munich Hbh Platform 29. At 11:55 the train arrives in Füssen. Catch the bus to Neuschwanstein arriving around 12:20. Pick up tickets for your slot by 12.55. The walk is about 30 – 45 minutes to the entrance of the castle. There is a bus or horse and carriage options available and this will be an extra cost. At 13:55 your tour starts. At 14:30 the tour ends. From 14:30 explore, eat lunch, take a hike and whatever else takes your fancy. Around 17:00 arrive at the bus stop. Catch the 18:05 train. It’s the last best train from Füssen to get you back the Munich. NOTE: There are trains that leave later, but these are not regional trains, and your Bayern ticket will not cover them. Planning to eat in Hohenschwangau? The area does have a few restaurants and you should expect tourist prices. It took us a while to find a place to eat as they turn people away when the restaurants are full. This made it difficult to find a restaurant (applied to all in the area) and it was only when someone left that you were considered for a table. We eventually struck some luck and got a table at Hotel Muller. The restaurant had nice views of the castle and was reasonably price around 15 – 25 euros for a meal and drink. During the summer or even a beautiful day, it would be nice to have a picnic and bring your own food. Near the castle there is a seating section alternatively you could find a nice spot on one of the hiking trails and enjoy your picnic with a view. Have you ever been to Neuschwanstein Castle? Are you planning a trip to the fairytale Neuschwanstein Castle? Let me know in the comments!